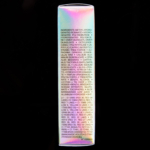 Dior Diorosphere (649) Dior Addict Stellar Shine Lipstick ($37.00 for 0.11 oz.) 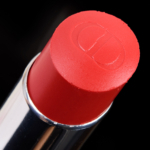 is a medium coral with warm, orange undertones and a natural sheen. 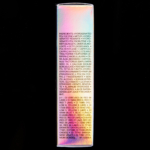 It had medium to semi-opaque color payoff that applied smoothly across my lips and never tugged. 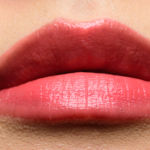 The color went on fairly evenly, though it wasn’t as foolproof as other shades in the range. 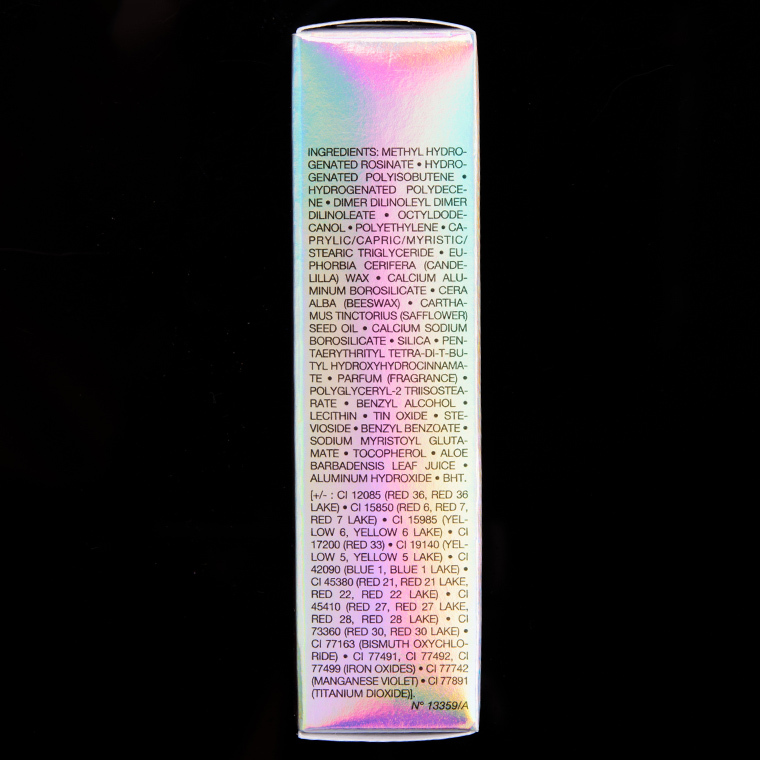 The texture was lightweight, balm-like and melted easily against my lips during application. It lasted well for three hours and was lightly moisturizing while worn. Estee Lauder High Level (DC, $32.00) is less shimmery, brighter (90% similar). MAC Origami Orange (LE, $20.00) is more shimmery, darker, cooler (90% similar). MAC King Salmon (P, $21.00) is less shimmery, lighter, cooler (90% similar). Givenchy Corail Backstage (324) (P, $36.00) is less shimmery, darker, cooler (90% similar). MAC Play It Soft (LE, $20.00) is less shimmery, lighter, cooler (90% similar). MAC Fashion Force (LE, $20.00) is more shimmery, warmer (90% similar). Tom Ford Beauty Kendrick (LE, $36.00) is less shimmery, cooler (90% similar). Urban Decay 100 Degrees (LE, $18.00) is less shimmery, darker, cooler (90% similar). 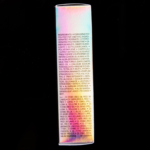 Colour Pop UR Thriving (P, $7.00) is less shimmery, lighter, brighter (85% similar). Bite Beauty Chiffonade (P, $24.00) is less shimmery, brighter, cooler (85% similar). 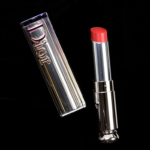 Dior Bohemienne (881) Dior Addict Stellar Shine Lipstick ($37.00 for 0.11 oz.) is a soft, medium-dar plum with subtle, cool undertones and barely-there violet pearl. 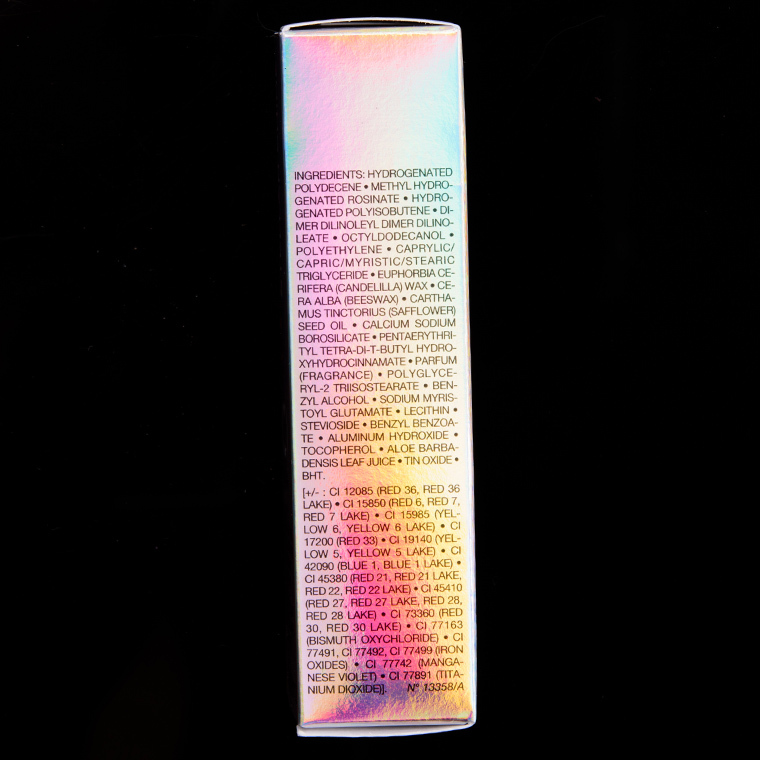 It had medium coverage that applied evenly across my lips, as the product felt like it melted upon contact. 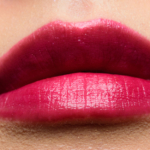 Despite having a very emollient feel, it didn’t sink into and emphasize my lip lines–it actually gave my lips a smoother, plumper look overall. It wore well for three and a half hours (but it’s marketed as having eight-hour shine!) and was lightly hydrating over time. Hourglass Liberator (P, $32.00) is less shimmery, darker (90% similar). 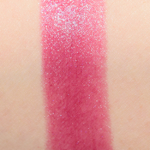 YSL Plum Tunique (90) (P, $38.00) is more shimmery (90% similar). MAC Craving (P, $18.50) is less shimmery, darker, cooler (90% similar). 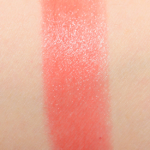 Sephora Rise Up (03) (P, $13.00) is less shimmery, lighter (90% similar). Urban Decay Sheer Shame (P, $18.00) is less shimmery, darker, cooler (90% similar). Urban Decay Seismic (P, $18.00) is more muted (85% similar). YSL Rose Blazer (89) (P, $38.00) is less shimmery, darker, more muted (85% similar). L'Oreal Gleaming Plum (P, $9.99) is cooler (85% similar). Tom Ford Beauty Georgie (LE, $36.00) is more shimmery, cooler (85% similar). Bobbi Brown Plum Rose (P, $37.00) is less shimmery, darker, warmer (85% similar). 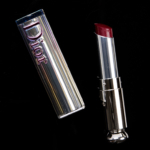 Dior Diorlunar (987) Dior Addict Stellar Shine Lipstick ($37.00 for 0.11 oz.) is a medium-dark, reddened plum with subtle, warm undertones and a luminous sheen. 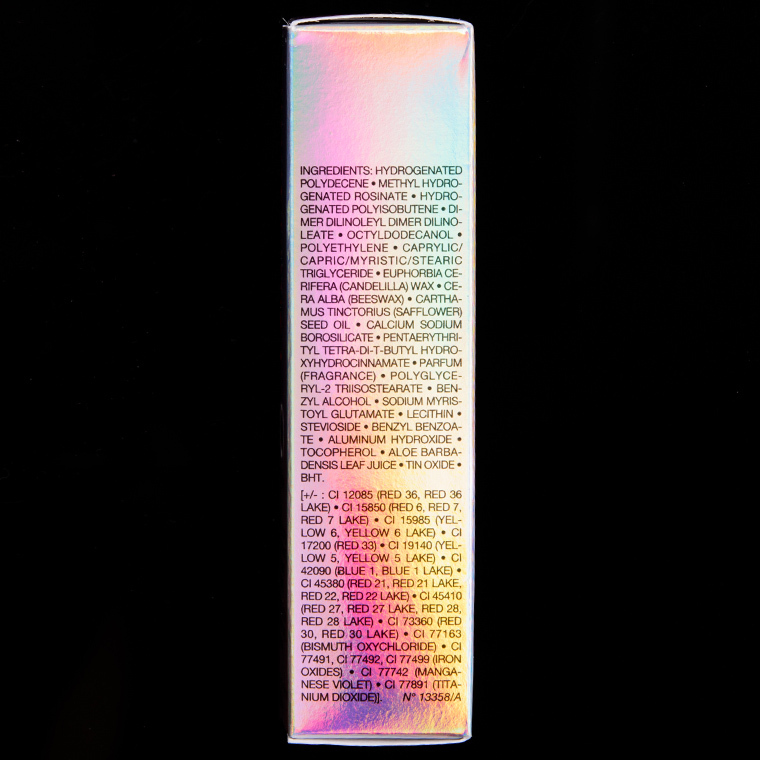 It had semi-opaque pigmentation that applied evenly across my lips without sinking into my lip lines. The consistency was lightweight, very emollient and balm-like (and felt a little “oily” in a way), and was comfortable to apply and to wear. The color stayed on nicely for four hours and was lightly moisturizing while worn. 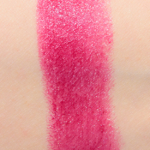 Burberry Boysenberry (289) (P, $34.00) is more shimmery (95% similar). Tom Ford Beauty Adora (P, $54.00) is less shimmery, cooler, less glossy (90% similar). MAC Hang Up (P, $18.50) is more shimmery, darker, cooler (90% similar). Smashbox Fig (PiP, $21.00) is darker, cooler (90% similar). Bobbi Brown Berry Rose (P, $37.00) is less shimmery, lighter, less glossy (90% similar). Tom Ford Beauty Scott (LE, $36.00) is more shimmery, lighter, cooler (85% similar). Shiseido Rouge Rum Punch (RD504) (DC, $28.00) is more shimmery, darker, cooler (85% similar). Urban Decay Mosh Pit (P, $18.00) is less shimmery, darker, cooler (85% similar). MAC Party Line (P, $18.50) is more shimmery, warmer, less glossy (85% similar). 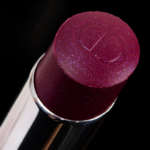 My purple and plum loving self is so tempted by Bohemienne and Diorlunar! But I may probably have even nicer ones sitting on my redonkulous WL, I’m thinking. I’ll probably be trying these 2 on and then comparing them to their dupes that I’ve already added to the list. Beautiful shades, especially the coral one. But it’s a shame when they aren’t as good as they should be for hte price. I love the bit of shearness which seems to make them all flattering. 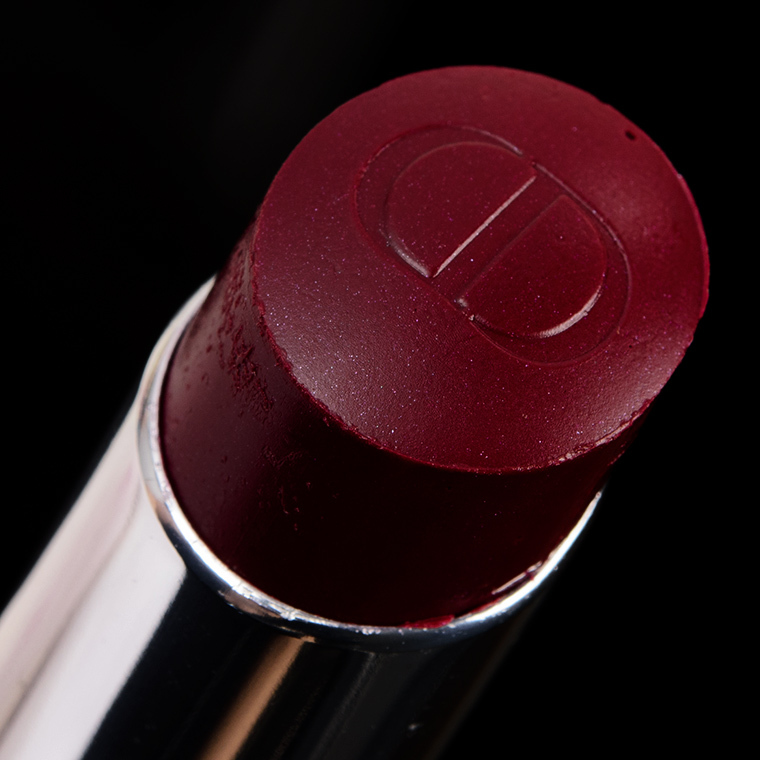 Dior seems to have discontinued one of my all-time favorite lipsticks, the Addict lipstick in City Lights, #612. Doesn’t look like you’ve swatched it, but by any chance do you or any of your readers know it, and if so, have any suggestions for dupes? I really don’t have anything like it. It’s so far from a perfect product, and yet, I simply love it.